A good virtual reality experience requires excessive processing and graphics power. Early adapters can get into immersive worlds through a combination of specific head gears with a powerful personal computer or laptop, 2. latest mobile phones from Google or Samsung or 3. newer game consoles from the likes the Sony. Current leaders of virtual reality headsets include Oculus (Rift), HTC (Vive), Google (Daydream), Sony (PlayStation VR), and Samsung (Gear VR). The first two provide the highest quality experience but also price at the highest points of US$399 and up depending on functionalities. Additionally, they also require a bigger footprint to manage users’ movements. Its also important to have the best affordable gaming laptop so you can run PC virtual reality experiences on the go. 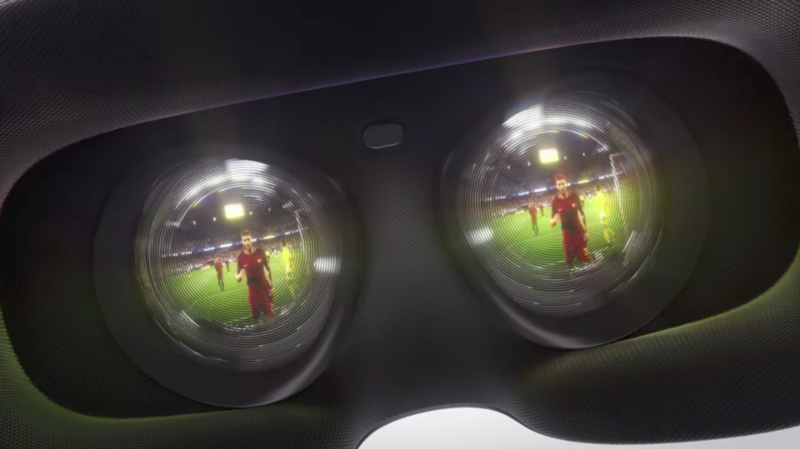 With this last point in mind, Facebook CEO, Mark Zuckerberg, announced a new stand alone virtual reality headset at the Oculus Connect 4 Conference in San Jose, California that would solve the footprint and additional device requirements. 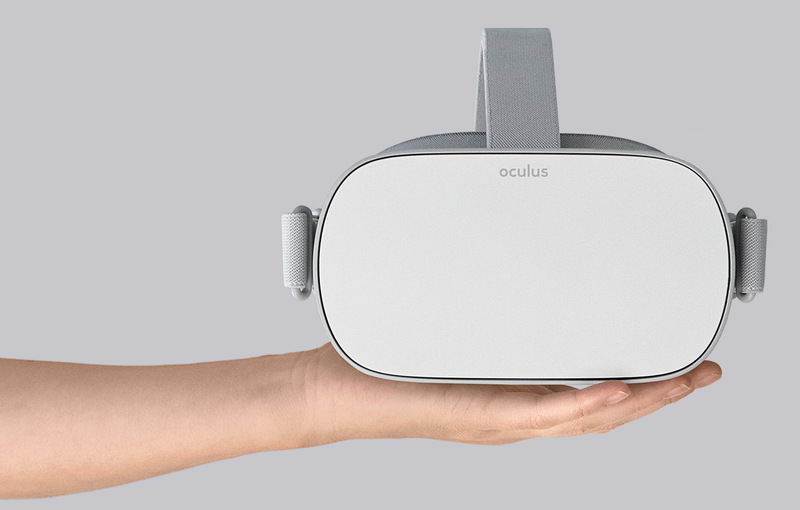 Named Oculus Go, the headset focuses on untangling many wires at a lower price point without significantly sacrificing quality of the media feed. Super lightweight with soft elastic straps with high adjustability. The faceplate consists of a mesh fabric would be more breathable for a comfortable fit and longer use. The outer shell is made from a hard plastic to hide and protect electronic components within. A “fast-switch LCD screen” packing a 2,560 x 1,440 resolution with a higher pixel fill rate than normal OLED screen to reduce screen-door effect (“a visual artifact of displays, where the fine lines separating pixels (or subpixels) become visible in the displayed image”) for sharper texts and cleaner images. Integral spatial audio which will improve the sound profile based on the location of the user and object (e.g. a virtual pet making a sound direct at the user would be different than one doing so from behind the user. Compatible with Android-based apps used by Samsung Gear VR which means more applications, stored and live media would be available at launch. Additionally, developers would not be required to learn a completely new set of programming instructions to create new experiences which will cut project development time and costs. 3DOF controller – This will provide 3 degrees of freedom which is similar to other Gear VR devices. Wireless communication protocols (e.g. WiFi, Bluetooth) – It is likely that all current Wifi standards 802.11 a/b/g/n/ac and Bluetooth 4.x/5.0 would be included to maximize bandwidth. Storage – Some form of storage should be included so that users can download contents, experiences or applications ahead of time. Other operating system support – Success of the gear would be extended if it can support more platforms such as Apple’s iOS or Microsoft’s Windows 10. Many airlines and airports have limited their use of virtual reality in marketing, ticketing and on board experience due to high price of entry, lack of available content and the number of wires required. The US$199 entry price would make it more palatable for users, allow for newer options to be created / extend current slate of on board entertainment and can be rented out / sold for extra ancillary revenue. It is especially an attractive delivery choice if content can be in a more compressed form. This allows airlines to deploy more entertainment options on short to medium haul flights and for airports to create new immersive experiences for customers to increase dwell time on the premises. Facebook with Oculus introduced a new lower priced virtual reality device that may change the way content is delivered. This has implications in how the aviation industry can deploy new experiences to customers which will potentially increase ancillary revenue.